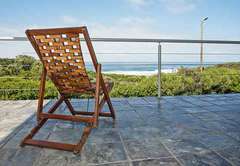 Cape Footprints is a property providing self catering in Wilderness for up to 8 guests visiting the Garden Route region. 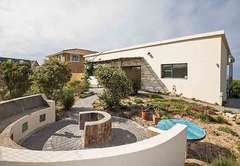 Conveniently situated across the road from the popular Kleinkrantz beach, Cape Footprints is a charming and eco-friendly self catering holiday home in Wilderness. 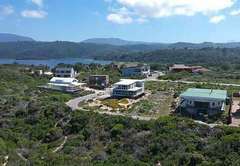 The accommodation is nestled in a quiet area and is just 10 minutes drive from Wilderness village. 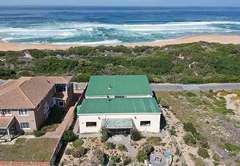 Various outdoor activities such as swimming, long beach walks, hang gliding, fishing and surfing are all available nearby. 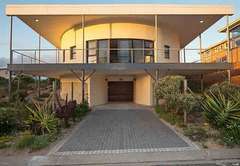 The house has four rooms and sleeps a total of eight guests comfortably. 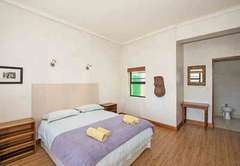 The main bedroom is sea facing and is furnished with a King-size bed. 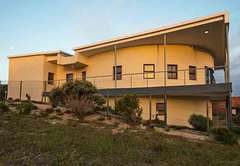 Room 2 is furnished with a double bed and shares a full bathroom with Room 1. Bedroom 3 has a King-size bed and an en-suite bathroom with a shower. This room is wheelchair friendly. 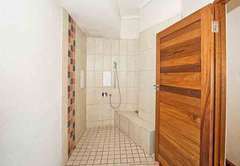 Room 4 also has an en-suite bathroom with a shower and is furnished with twin beds. 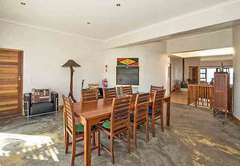 The lounge is open plan and furnished with comfortable sofas. 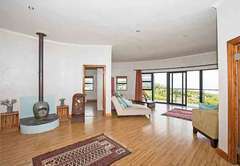 Boasting sea views, this room is equipped with DStv and a DVD player and also has a ceramic fire pit / fireplace. Sliding doors open onto the wrap around balcony. 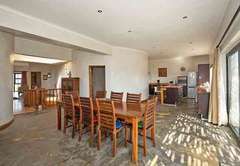 The dining area has seating for eight guests and opens, through sliding doors, onto the garden. Braai facilities are provided. 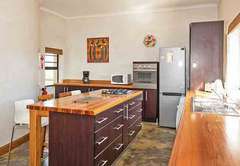 The spacious, open plan kitchen has a cooking island, stove with gas top and electric oven and a microwave. 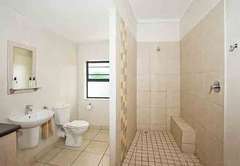 A washing machine and dishwasher are provided. 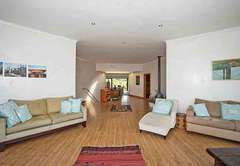 The house has a fully enclosed garden as well as a covered patio area and fire pit. Garage parking is provided. 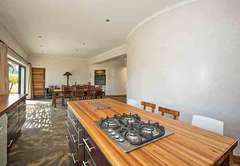 The house has four rooms and sleeps a total of eight guests comfortably. 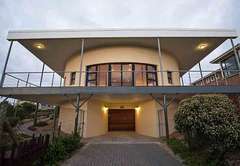 The main bedroom is sea facing and is furnished with a King-size bed. 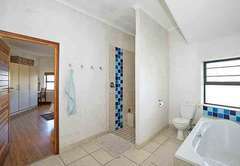 Room 2 is furnished with a double bed and shares a full bathroom with Room 1. 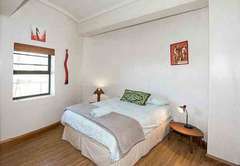 Bedroom 3 has a King-size bed and an en-suite bathroom with a shower. This room is wheelchair friendly. 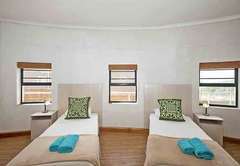 Room 4 also has an en-suite bathroom with a shower and is furnished with twin beds.